Whether it is your first or your thirty first trip to Paris, you cannot help but fall in love with Paris when you stroll along the Seine. 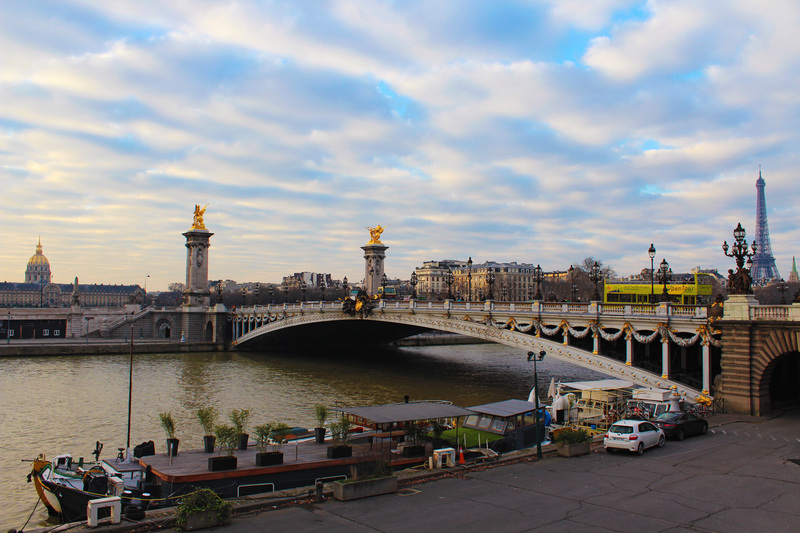 A simple stroll along the Seine will in fact show you wonderful sights of the everyday Parisien’s life like book stalls, food and flea markets, shops and cafes, as well as famous sights like Notre Dame, Musée d’Orsay, the Eiffel Tower, and a glittering array of bridges. 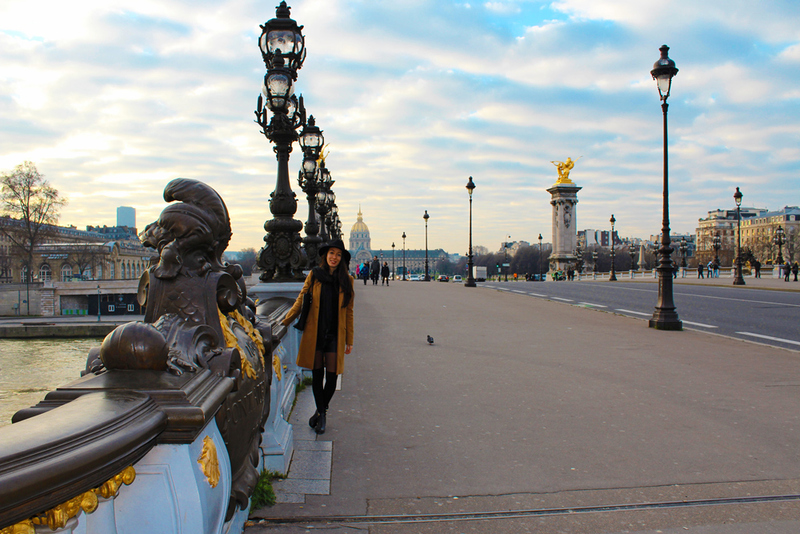 For some reason, I have a soft spot for Parisian bridges. They are so pretty and picturesque, just like a painting. 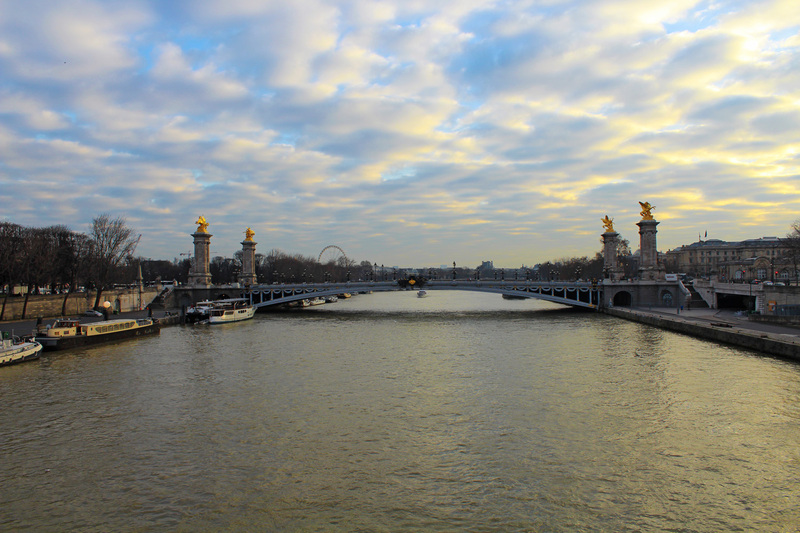 Of the 37 bridges that span the river Seine in Paris, my favorite by far is Pont Alexandre. 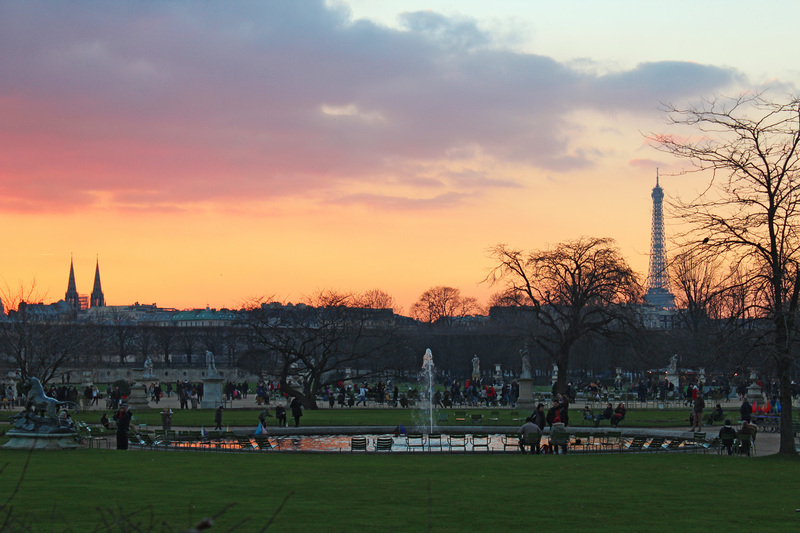 Every neighborhood in Paris has a little garden but some have large expanses, like the lovely Jardin de Tuileries. The Tuileries Garden was created by Queen Catherine de Medicis in 1564, but wasn’t opened to the public until over a century later. 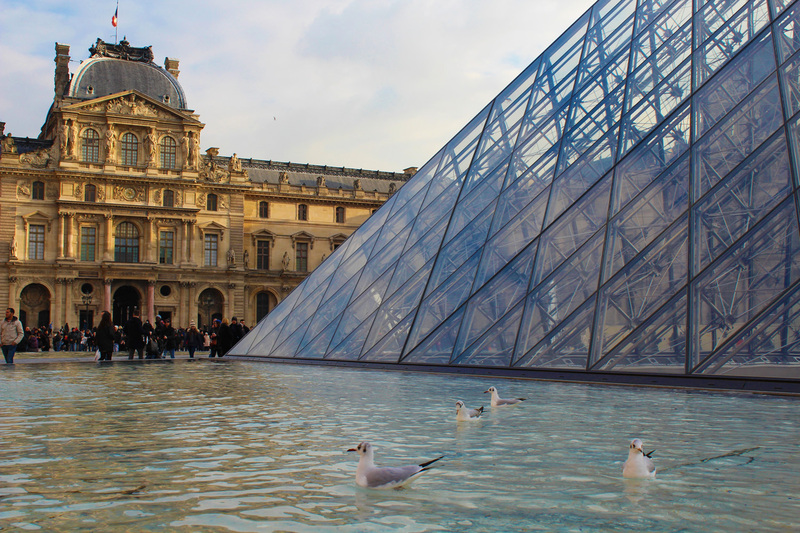 Today, Parisians and visitors alike gather by the garden’s ponds and sculptures to relax. 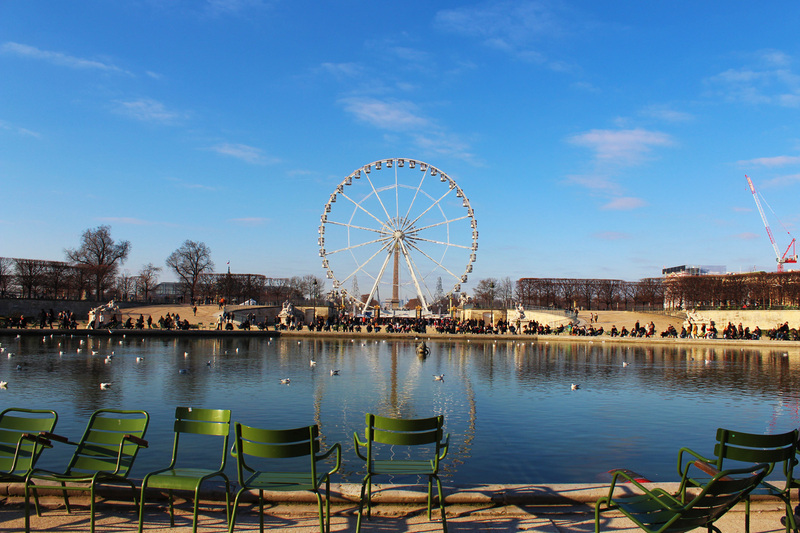 Tuileries Garden is also a perfect spot for a picnic, just pull up a chair near one of the fabulous fountains or find a more intimate spot in the statue-filled gardens. 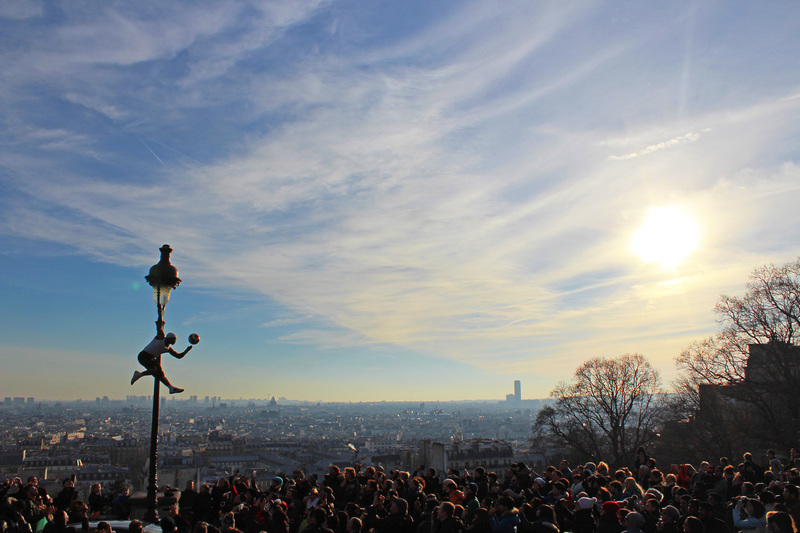 Montmartre has been the artistic heart of Paris for centuries, home to Van Goph, Monet, Mondigliano and Dali, among others. The neighborhood offers many small cafés, bars, galleries, and art, it’s just lovely. Take your time and walk slowly through it. No rush! 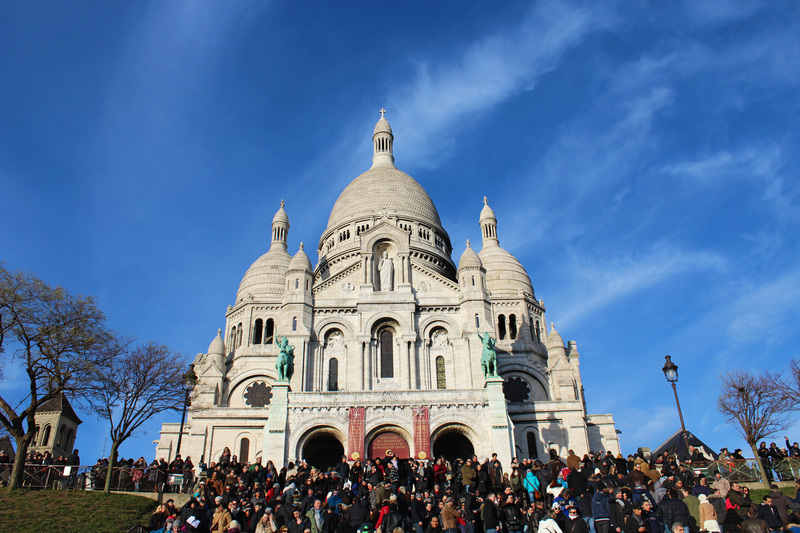 The Sacré-Coeur sits right atop a giant hill in the Montmartre district. The entrance is free, and the view from its steps is incomparable. The only drawback to capturing that view are the roughly 5 million steps that must be climbed, but hey, you probably need to burn some calories from the chocolate croissant you ate for breakfast, right? 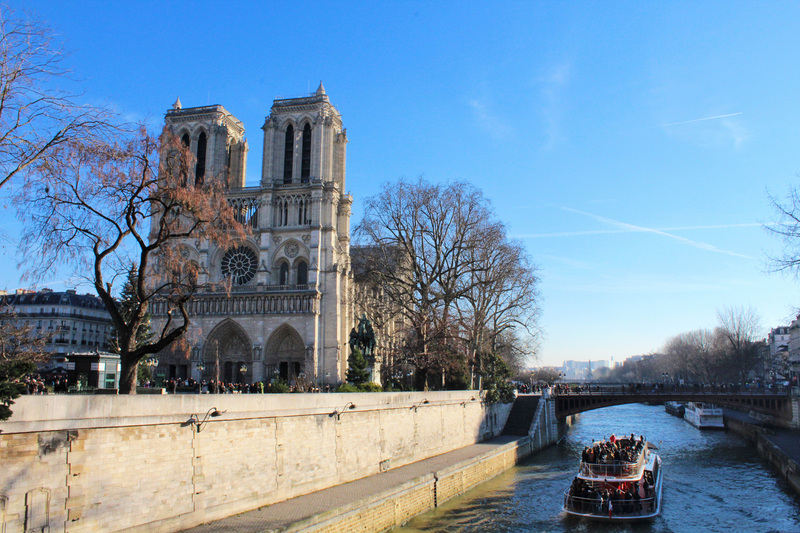 A cute island in the middle of the Seine, the Île de la Cité is the epicenter of Paris, while the Notre Dame is her heart. Amongst the world’s finest examples of French Gothic architecture, the building is a free treasure with its amazing sculptures and the stained glass. It is my personal opinion that this imposing Parisian icon is essential for every visitor. 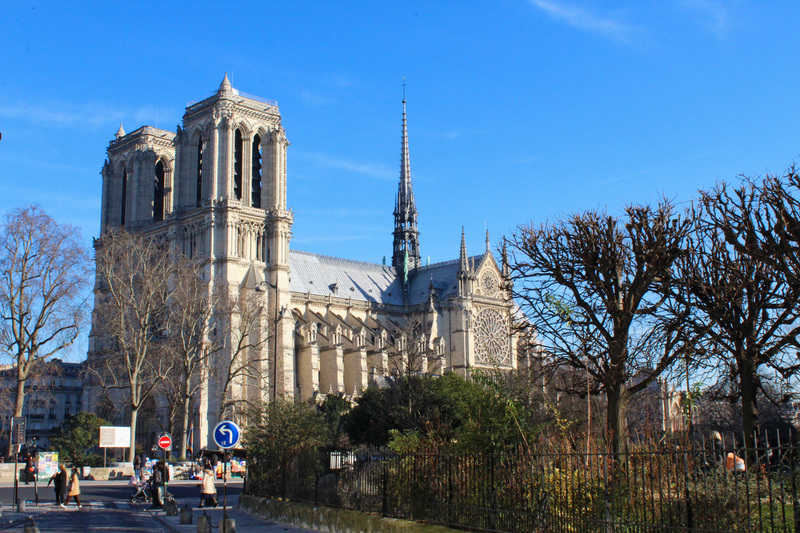 For the more active, you can climb the 390 steps of the internal winding staircase to view the gargoyles up close, as well as take in the amazing view over Paris. Yeah, I know, you’re like “What?”. 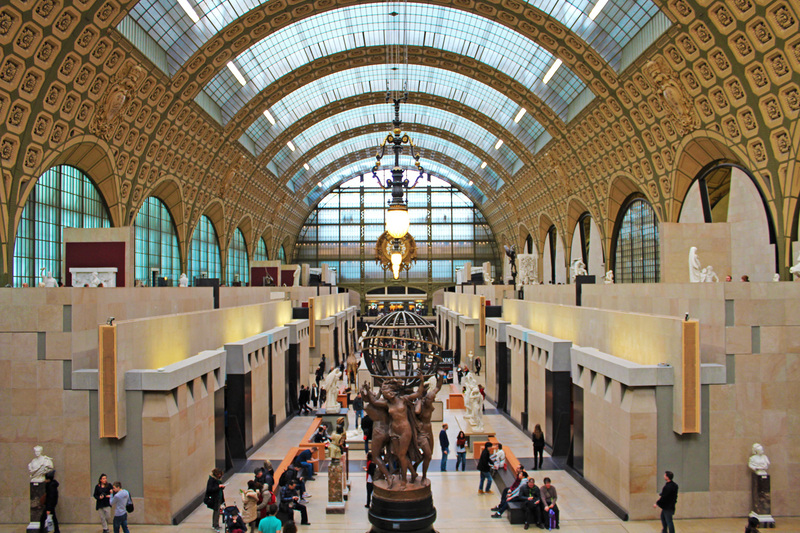 But yes, you can visit for free many gorgeous museums in Paris every first Sunday! And I’m talking about Institutions like the Louvre, Musée d’Orsay, Centre Pompidou and Musée Rodin (if you don’t know what I’m talking about, click here). Of course this open-arms availability on special days can be both a blessing and a curse. On one hand, lines are so long they eventually become hilarious. On the other hand, it’s free. Do you have any other awesome tip on Free Things to do in Paris? Tell me here!